Windsor, CA – September 13, 2018: On June 29, 2018, Carolyn (Charles) Martinelli and her husband Lee Sr., along with their four kids, further committed to keeping their winery family owned and operated with the purchase of 465 acres of the Charles Ranch, including two vineyards, the Charles Ranch Vineyard and Three Sisters Vineyard, with a total of 27 acres planted. Previously, Carolyn shared the property with her two sisters. The Martinelli Family remain resolute in their commitment to continue their 140+ years of Sonoma County farming by investing in their own winemaking and farming for future generations. Located two ridges in from the Pacific Ocean, due east of Fort Ross Historic Park, the Charles Ranch property has been in Carolyn’s family since the 1860s, first homesteaded by her great grandparents. George Charles, Carolyn’s father, was a fourth-generation rancher in the vast rugged hills and raised 2,000 head of sheep along with a small herd of bison. In 1981 he became a grape growing pioneer as the second person to plant grapes in this remote coastal region. “It’s hard to put into words the importance of keeping this storied property in the family,” says Carolyn Martinelli. “A good deal of my childhood was spent at the ranch; my four children and their children also spent much of their childhoods there.” The Charles Ranch has been a family favorite for generations. Hiking, swimming, hunting, horseback riding, family gatherings and camping are deeply rooted memories shared by the whole family. In his first years of visiting the Charles Ranch, Lee Sr. recalls jeeping, ATVing and hunting with his father-in-law as well as all sorts of outdoor activities with the family. That time amounted to relaxation and time away from the rigors of grape growing and running a winery. Including these two vineyards, the Martinelli’s own 19 vineyard sites throughout Sonoma County planted to 450 acres. 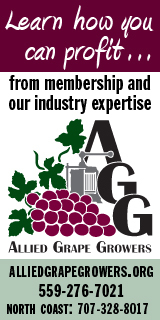 They are one of the preeminent family wineries and estate vineyard owners in the county, all active in the industry and 90% of the wine grapes they grow are sold to neighboring wineries. The Martinelli’s are best known for their critically acclaimed wines, notably Jackass Hill Zinfandel, which consistently receives high praise from wine critics. Charles Ranch Vineyard Chardonnay and the Chardonnay and Pinot Noir from Three Sisters Vineyard also receive high marks. Several Sonoma County wineries purchase grapes from these two vineyards including Ramey Wine Cellars, Benovia Winery, Patz & Hall Winery, Kosta Browne and Williams Selyem, among others. The original Martinelli Winery was established in the 1880’s by Lee Sr.’s grandfather, Giuseppe Martinelli on Martinelli Road. 100 years later the current Martinelli Winery & Vineyards was opened in a historic hop barn on River Road by Lee Martinelli Sr. and his wife Carolyn. The family has been growing grapes in Sonoma County since the 1880s and has received numerous awards and recognition as leaders in agriculture, including Lee Sr. and Carolyn being named Sonoma County Icons by the Sonoma County Vintners in 2015, the 2013 Farm Family of the Year by Sonoma County Farm Bureau, the 2018 Santa Rosa Metro Chambers Leadership in Agriculture award, and Lee Sr., Lee Jr. and George Martinelli have all received the Young Farmer of the Year award from Sonoma County, all before they were 40 years old. The Martinelli’s own 19 vineyard sites planted to 450 acres in four American Viticulture Areas (AVAs), all wholly within Sonoma County. Their wines are 100% estate grown and bottled and the winery and vineyards are recognized as a Certified California Sustainable.